I’m in the midst of evolving my website and offerings again to keep pace with my continued evolution. What I really want to do is write and share my ‘right brain story’ — as exciting developments have occurred these last few years (like kundalini awakening!). However, in order to do that, I’m being guided to first attend to my left-brain story … as its due for some updating. Even thought this is a left-brain story … I can’t help but use some right-brain techniques to more easily communicate it. Below is my Visual Bio (a studio piece created to communicate my story on my websites and during my classes). And underneath that is a video where I use my Video Bio during one of my online classes. And, finally, at the end of this post is regular ol’ left-brain text (with audio). Where does one begin a left-brain story? Well, probably in the basis of the culture one was raised in. I’m a Canadian woman with a childhood in the 70s and adolescence and young adulthood in the 80s. I can’t say I was particularly left-brained (I feel I’ve always been pretty balanced in both left and right) however the culture I was raised in (as we all are) was decidedly left-brained (linear, rational, masculine, action-oriented, etc). I attended public schools (the elementary years on military bases). And during high school observed my father and his business partners create and run a training firm primarily serving the governmental market. Upon high school graduation I continued onto university earning a BA in English (my love of words and communication was always there). After graduation I had a short stint at secretarial school (back with typewriters!) then landed employment with the local provincial government … eventually becoming the Executive Secretary to the Premier of the Province (that was a fascinating vantage point to learn about politics!). While in that position I helped coordinate an internal communication project where I inadvertently stumbled upon the field of socio-tech systems and organizational development. And, I was hooked! In 1994 I left Canada and moved to San Francisco, California, U.S.A. to pursue my masters in Organizational Development & Transformation at The California Institute of Integral Studies. 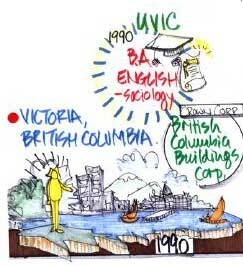 During grad school, at the insistence of a friend who knew I could doodle, I was introduced to the pioneering ‘Group Graphics’ work of David Sibbet and The Grove Consultants International. Upon viewing David’s change management work involving interactive visual displays … well, it was love at first sight! My left-brain love of organizations and business came together with my right-brain love of color, emotion and illustration in one fell swoop. I first did an internship with The Grove (having lucky timing which coincided with the launch of their Strategic Visioning tools). Then was hired as support to the consulting unit. 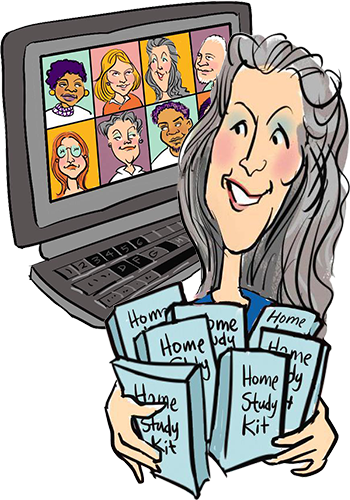 Eventually I was given my big break and emerged as an in-house Graphic Recorder, traveling North America and internationally (in corporate, governmental and not-for profit settings mostly working in strategic planning and visioning venues). In 2001 I set off on my own, creating Make Your Mark, LLC. 2001 was a pivotal year in many ways. Just 6 months after creating my independent practice, the 911 attacks occurred in New York and the specialty meeting market ground to a screeching halt. Having been scheduled to be in New York that week (a series of cancellations occurred to keep me safely on the West Coast) I, like many people, made important life decisions motivated by the shock of those events. I short order I ended my live-in relationship, made the decision to return to Canada and made an internal commitment to follow my attraction to applying the visual techniques to personal growth and spirituality. A powerful period of change and growth followed. In 2000 I had begun coach training (via The Coaches Training Institute) and had also become an Alchemical Hypnotherapist. Prior to the 911 attacks I had already been experimenting with weaving visuals into coaching and hypnotherapy. I was encouraged with my experimentation’s and loved the results my early Visual Coaching clients were getting. Upon returning to Canada, my first order of business was to weave these explorations into a coherent process and suite of tools … The SHIFT-IT Visual Coaching System® (at least the very first draft of it) emerged my first rainy winter on Vancouver Island. The evolution of this work has been my primary love ever since. 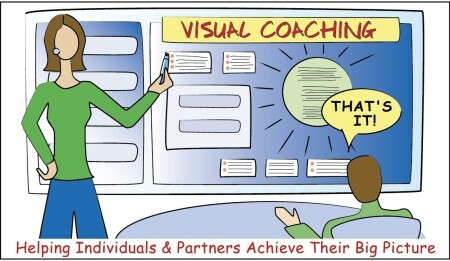 My segue to being a Visual Coaching pioneer did not happen over night … it took many years of step-by-step development to help bring this field into being. By this point I had emerged into being a full-on Graphic Facilitator (rather than a recorder/scribe). Which meant I designed and led group processes while also simultaneously taking the visual summary. 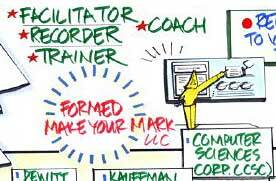 For many years Graphic Facilitation (and the teaching of visual skills to interested Process Professionals and Creatives) was my day job, while Visual Coaching was fit into wherever I could fit it. Eventually, as my Visual Coaching practice grew, it occupied more and more of my time, eventually becoming so busy that I finally made decisions about requests from fellow Process Professionals to be able to use my methods and tools. Over those many years I developed a pretty thorough curriculum of courses (first in-person, then online as easy technology developed). 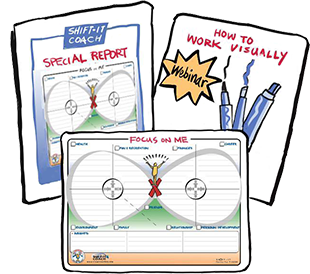 SHIFT-IT School® includes courses on beginning and intermediate visuals skills, as well as a variety of business and personal development courses. All designed to help people shift their work and life for the better. Given the nature of my work, many of my clientele are Process Professionals (internal or external leaders, consultants, teachers, trainers, coaches, therapists, etc) who want to learn my innovative methods in order to better serve their own clientele (and to being enhanced creativity and authenticity into their own lives at the same time). 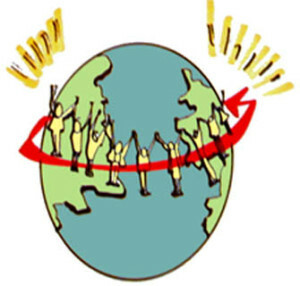 In 2010 Visual Coach Certification® was launched, to properly train and empower coaches, counselors, therapists and other Helping Professionals who work with individuals to use my SHIFT-IT System® and tools with their own clientele (as well as to create tools from their own intellectual property). We now have a growing network of Certified Visual Coaches from across the globe — our army of marker-equipped lightworkers helping a diverse range of clients to shift their work and life for the better! It’s immensely gratifying to see the visual way of working gets its rightful due — Visual Thinkers are emerging from across the globe to integrate visual skills into their specific areas of expertise and interest. Its wonderful (and surreal) to witness the incredible growth of this field and to have the honour of personally mentoring hundreds of practitioners. I’m as fascinated as anyone to see where things go from here as its certainly evolved now beyond us earlier pioneers. Now we are all carried along in its powerful wake. My SHIFT-IT work, while steeped in the visual approach, also enables me to pursue additional areas of interest too. Underneath the visuals, it is my experience (whether working with groups and/or individuals) that an even more important layer is the ‘emotional alignment’ that is (or isn’t) happening as to whether an organizational or personal vision is successfully manifested. While I will continue for the foreseeable future to train and mentor other practitioners, my current areas of fascination are housed in my own coaching practice. Energetic attunement, trauma, and individuation / sovereignty / leadership issues most captivate me now. How can I increase the odds of my clients manifesting what it is they say they want? How can the effects of early or current inhibitors be successfully overcome? How can people live more congruent, authentic and fulfilling lives? How can our societies be changed to more easily nurture the emotional and energetic lives of its citizens? These are big questions that will keep me busy for the rest of my left and right-brained career. P.S. Thanks for reading this long-winded tale of my left-brain story. It was important for me to get this down in writing at this point in time. Next, I will be sharing my right-brain story (as all the way along I also had right-brain occurrences that deserve to be noted too in order to give the full, holistic picture).